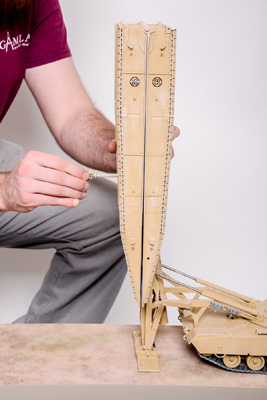 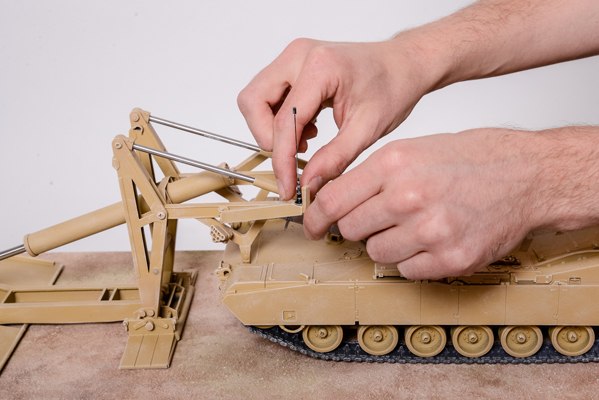 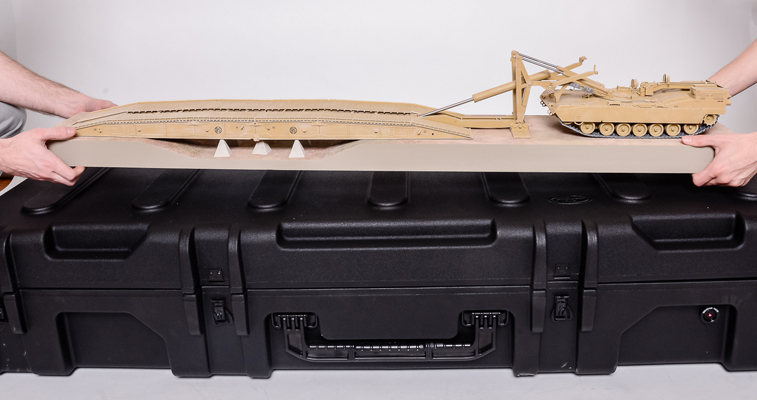 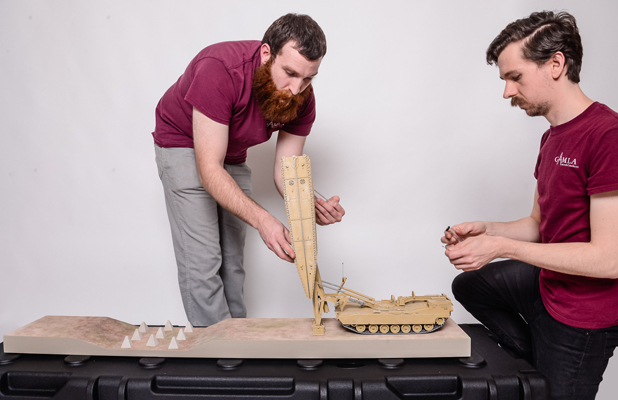 This model represents Joint Assault Bridge (JAB) system mounted on M1 tank chassis. 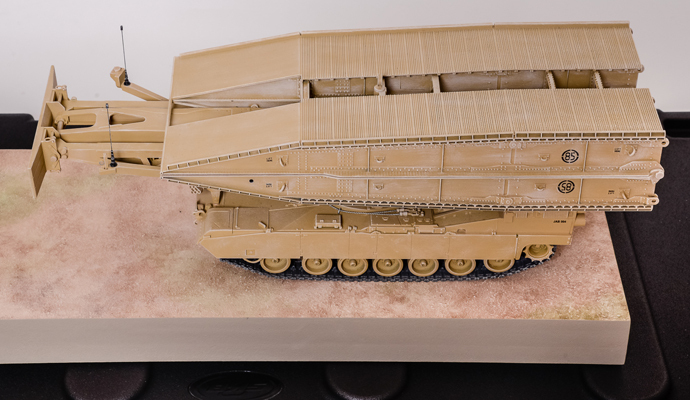 In general it is almost identical to its bigger sister, the 1:16 scale JAB model, except it is 66% size and it's diorama base is slightly different. 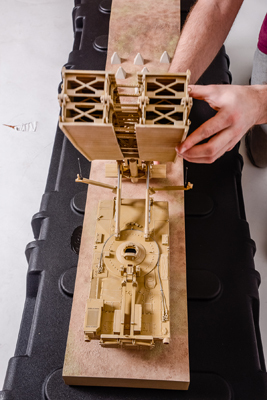 Like the 1:16 scale JAB model this one is also fully operational, demonstrating a full cycle of the bridge deployment very close to reality. 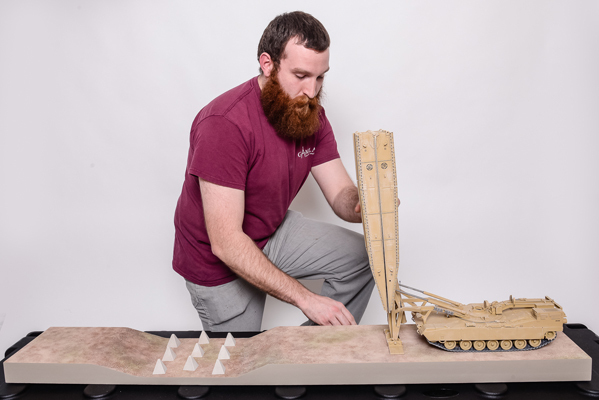 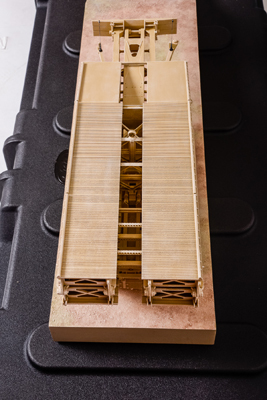 For the purpose of demonstrating the bridge deployment the model is mounted on a diorama type base with a "ravine" filled with concrete anti-tank obstacles. 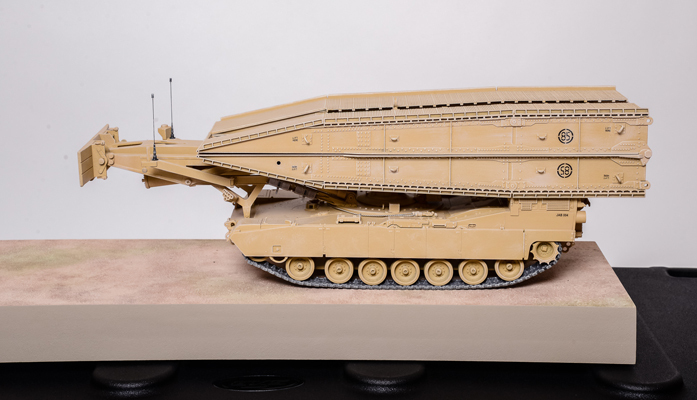 To create this model we used the same digital tooling that was generated for the 1:16 scale JAB model, only the parts were rapid prototyped 66% of the original size. 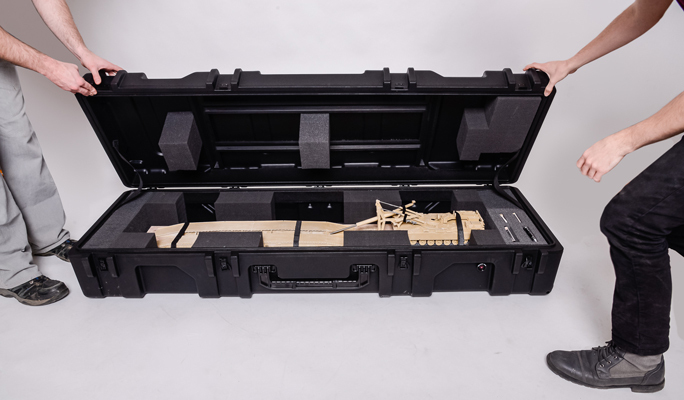 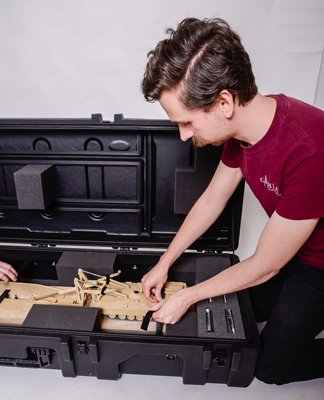 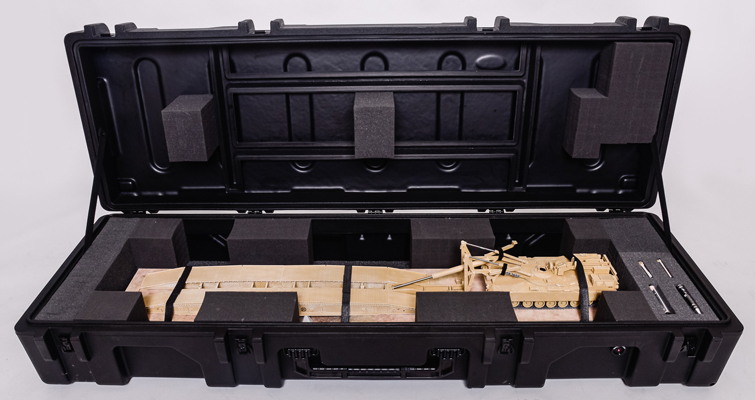 The model is packed in a heavy duty military grade plastic cast transit case with a custom foam lining.